Your wishes can become reality when you choose Everlast Construction & Painting LLC to install new flooring, lighting, countertops or backsplash. We will work with your designer or help you design custom cabinets or install a recessed ceiling with lighting that dims to suit your area home's needs; whether a functional prep area or romantic lighting for that special supper. Everlast Construction & Painting LLC has been providing professional kitchen remodeling since 2000. Everlast Construction & Painting LLC's experienced builders can craft the perfect outdoor kitchen. We'll install a brick courtyard with a built-in fire pit for roasting marshmallows, or perhaps an outdoor entertainment center. There is no need to wait; Everlast Construction & Painting LLC can help you every step of the way, from planning to design to the finishing touches that will carry out your dream kitchen and keep it reasonably priced. Yes, dreams do come true! Everlast Construction & Painting LLC can turn your dream kitchen into a reality. Whether it’s traditional, Tuscan, contemporary or modern, our kitchen remodel always reflects the homeowner’s individual design style. If you have always dreamed of a granite kitchen island, custom cabinets or beautiful new appliances, let our kitchen remodelers help you realize your dream. Imagine yourself cooking in your new gourmet kitchen or one that is perfectly designed for entertaining family and friends. Everlast Construction & Painting LLC specializes in kitchen renovations which are as stylish as they are functional. Get in touch with us at (973) 333-4540 so that we could build your dream kitchen for you today! Our kitchen remodel service has been based on quality craftsmanship at an affordable price. Everlast Construction & Painting LLC will renovate kitchens to suit every budget and leave you with a stunning new kitchen. We have the resources to offer you the designer kitchen that you’ve always wanted without paying top dollar. Everlast Construction & Painting LLC has been providing innovative kitchen solutions to homeowners for 19 years. We strive to make it an enjoyable and easy experience for our customers. 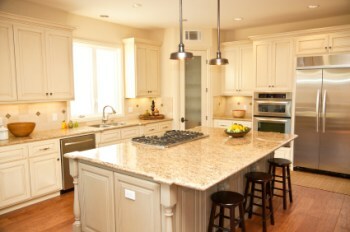 Our kitchen remodelers would be happy to transform your old kitchen into one that all the neighbors admire. Contact us at (973) 333-4540 to schedule your kitchen remodeling now.